NEW YORK: I’ve just read M.J. Rose’s editorial from last Friday, “Publishers Must Change the Way Authors Get Paid,” and I couldn’t agree more that it’s time to re-think the publisher/author relationship. M.J. deserves credit for moving this conversation forward; indeed, for years M.J. has shown by her own example how authors can and should be full partners in the marketing of their books. If anyone has earned the right to question author compensation, it’s M.J. Rose. However, I don’t think that the solution is to have authors paid a higher royalty in exchange for their marketing efforts. This approach reminds me of those group housing experiences we all had just after college, when inevitably the refrigerator would get divided up into separate grocery bags with cranky “this is mine, don’t eat it” notes on them. When that happens, the household stops being a fun place to live…and I don’t think it’s a good basis for sustainable publisher/author relationships, either. So, M.J., got a book for HarperStudio? If so, we have a structure that I believe would reward you fairly for your impressive efforts, without turning us all into dueling accountants. The new chapter has begun. 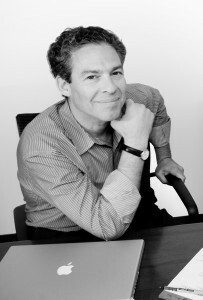 Robert Miller is the president and publisher of HarperStudio, which he founded in 2008. The first books from this new imprint are published next month. VISIT: The HarperStudio Web site. FOLLOW: The HarperStudio blog, The 26th Story.